For Arthur Rias' sake! 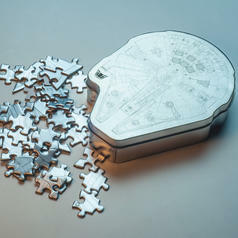 This puzzle is really difficult! 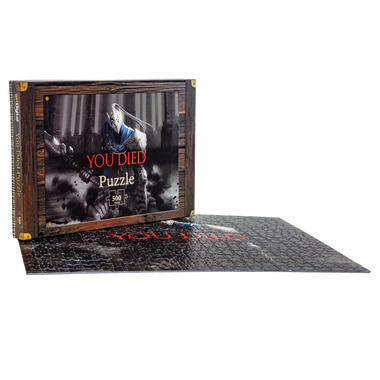 The "You died" Puzzle will pose a real challenge to both veterans of the games and non-traumatised people alike. Before you can see the beautiful image of a famous knight with a paralyzed arm, you'll need to assemble all 500 pieces of the puzzle. And trust us: this is not as easy as it sounds! And be careful  the edges of the box reveal that it is, in fact, a bloodthirsty mimic! So hands off! 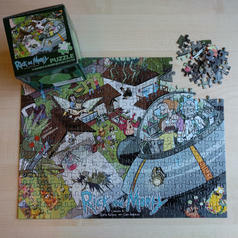 62 SEK lade... Rick & Morty Jigsaw Puzzle Wubba lubba dub dub! This puzzle is not for the faint of heart... or Morty ;). 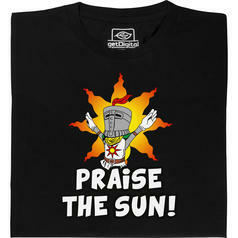 from 240 SEK lade... Fair Geek Wear Praise The Sun T-Shirt Sunbros of the world, unite! 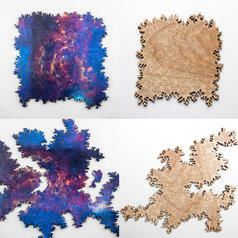 from 365 SEK lade... Infinity Puzzle - Wooden Jigsaw without Borders This puzzle truly offers endless fun! 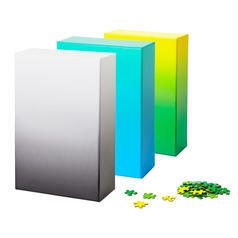 292 SEK lade... Gradient Puzzle A beautiful puzzle for absolute experts!